9 - 322 & 327 - 329, Silver Square Mall, Panchbatti, Jaipur - 321001, Rajasthan, India. 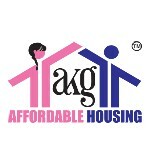 Akg Affordable Housing Pvt. Ltd Is The First Leading Company In Rajasthan Which Is Working For Economically Weaker Section And Lower Income Group. A K G Is A Reliable Company In Rajasthan Because Mr. Anil Kuchhal Is The Director Of This Company. He Has 35 Years Experiences In Real Estate. He Had Dealed With Manglam, Parsvnath, Ansal, Dlf, Sun City, Omaxe, Vatika, Okay Plus, Narayan Group As A Channel Partner. He Also Worked With “Urban Development Act”. He Was Founder, Promoter And Director Of Panchsheel Colonizers Pvt. Ltd. It Is One Of The Biggest Town-Ship In Rajasthan Known As “Panchsheel Park.